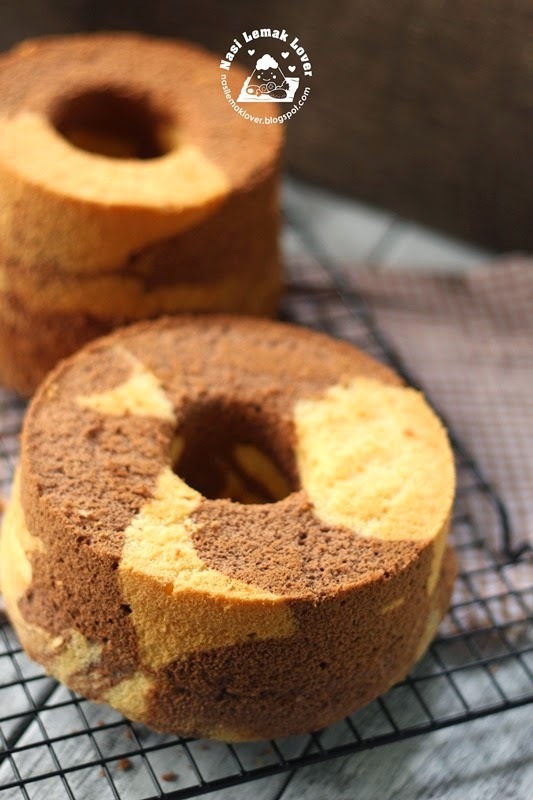 It was not a good idea to make 2 marble chiffon cake at the same time. I have to divide and calculate the equal proportion of batter, and so many mixing bowls have to wash..Anyway, I baked an extra cake that going to giveaway to my SIL. Hope she will like this cake. 1. Whisk egg yolks with sugar till light. 2. Add in corn oil, mix well. Then add in milk, combine well. 3. Add in flour, stir to mix well. 4. Divide batter into two equal portions. One portion to add with cocoa powder and milk, stir to mix well. Another portion too add with flour and vanilla extract, stir to mix well. 5. 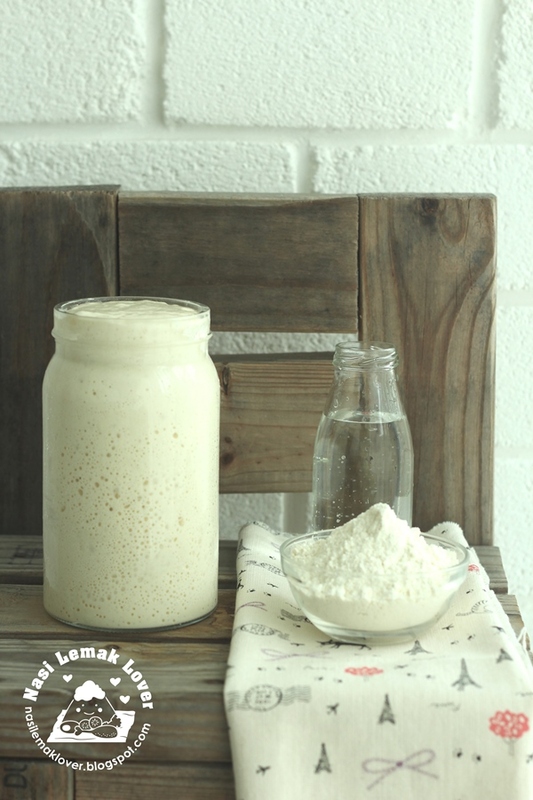 Add lemon juices into egg white, beat till foamy. Gradually add in sugar, beat till soft peak formed. 6. Equal divide meringue into two portions. Gently fold in one portion of meringue with cocoa batter, mix well. Then gently fold in another portion of meringue with vanilla batter, mix well. 7. Alternate the two batters into the chiffon pan until all batter is used up. To swirl the batter with a spatula or chopstick to create marble effect. 8. Bake at 150C (fan forced ) for 35mins (if you only bake one 8” chiffon pan, then bake at 170C for 45mins). Once done, remove from oven and immediately invert the cake pan, cool completely before removing from the pan. Store in room temperature. I bet your friend will love this cake! I'm sure your SIL would love this cake...I would too as it looks such a lovely gift. Beautiful chiffon. I am sure your SIL is very happy to receive this delightful gift. Thanks for sharing, Sonia. 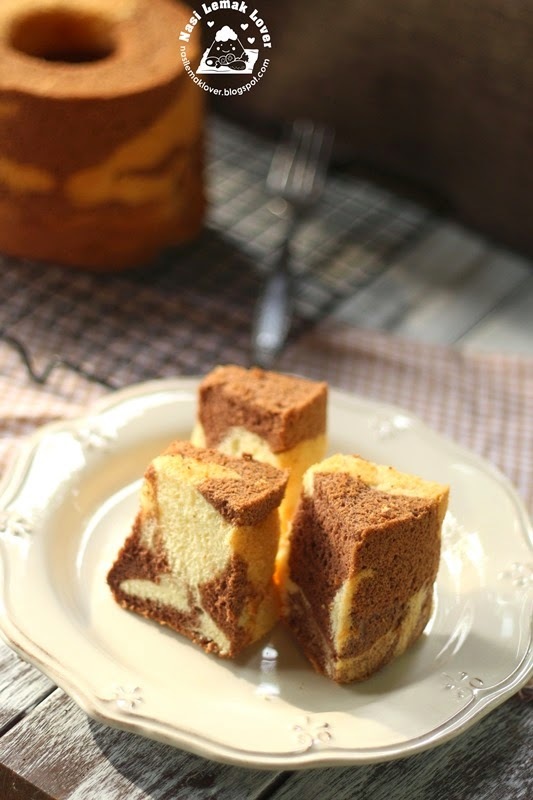 Very nice marble chiffon cake ^-^! Very nice marble choc chiffon, looks yummy too. Thanks for sharing. I like your phrase "layers of tummy" hahaha. I am sure your SIL will be glad to receive. Have a wonderful weekend. 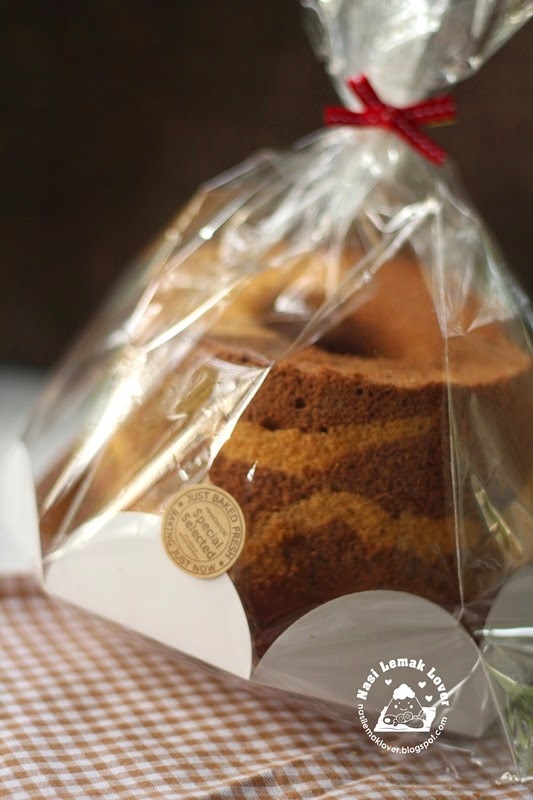 Lovely chiffon cake and I love the way you packed it, sui! Sue, this recipe is meant for 2x6" cake , check it out the temperature in this recipe. I can bake in a 24cm pan and save some washing up :D Looks good! Would love to try it soon! 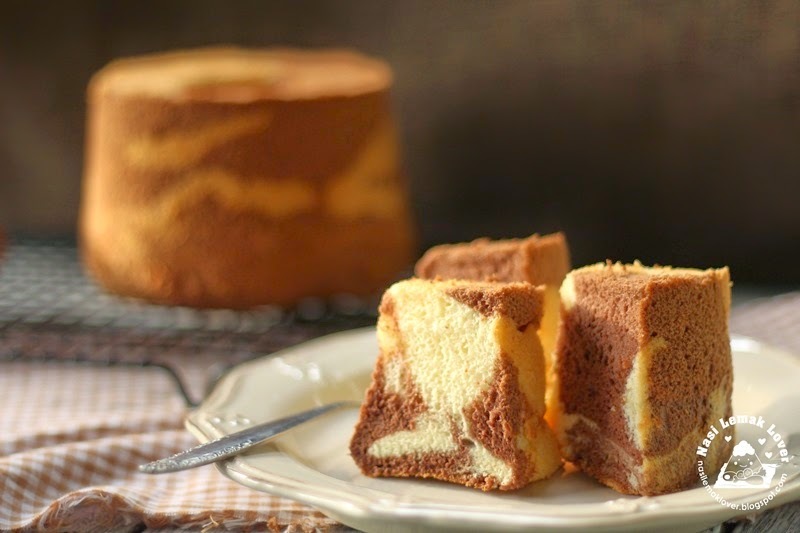 Lovely marble chiffon cake, lucky sil to receive such a nice cake from you! Sonia, you are now expert on chiffon and other cakes! Lucky friend to receive this! It looks light and fluffy. Love the marbling effect. Thanks for sharing, Chi. So light and airy and it definitely makes a great gift. Is there a reason why it must be bake on fan forced mode and not conventional mode? anonymous, because I baked two cakes at the same time, you can just use convetional mode, no problem. Can we substitute butter with oil instead for more buttery taste? If yes, what should the measurement be.